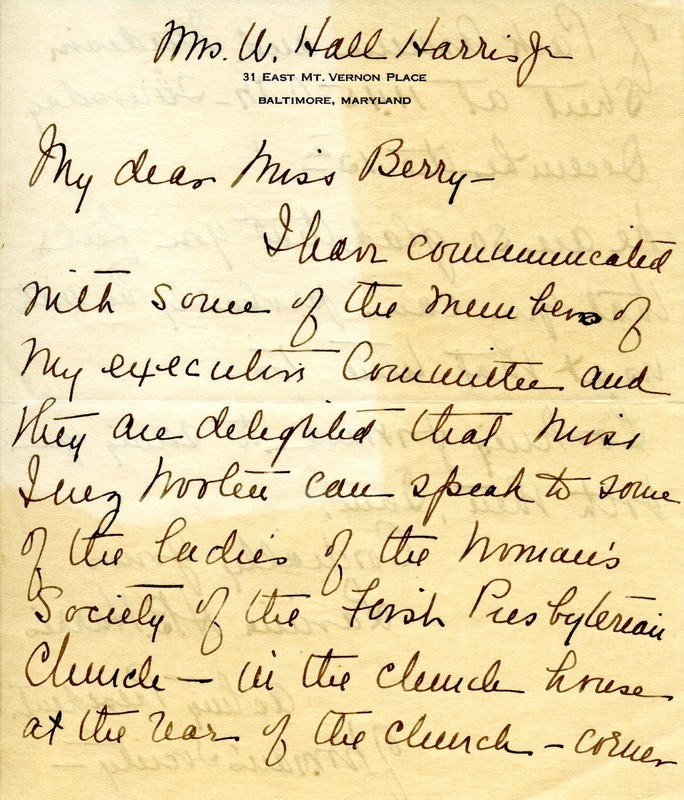 Mrs. Harris writes to say that her committee is delighted that Inez Wooten will be speaking to the Women's Society of the First Presbyterian Church on December 12th and expresses her excitement that Miss Berry will perhaps attend as well. Lavinia H.B. 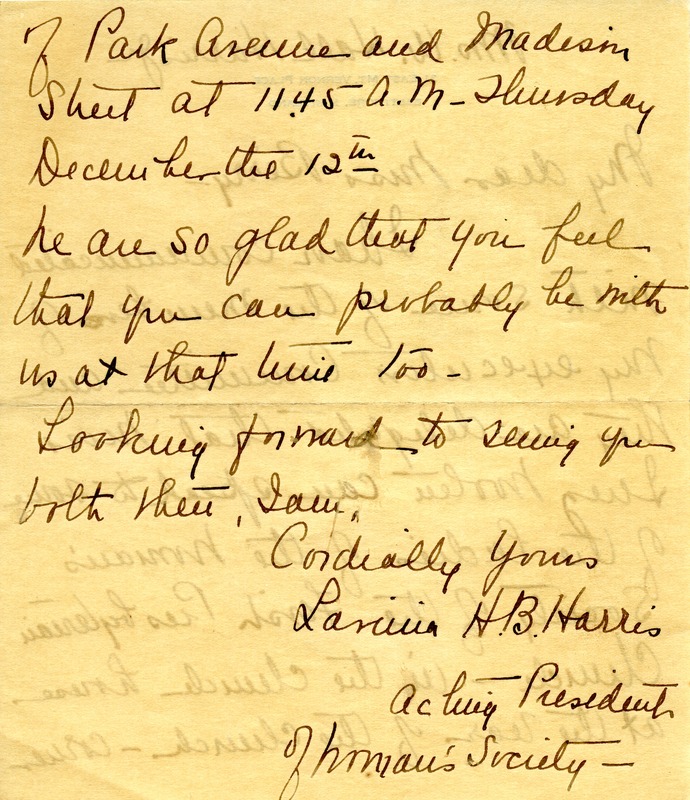 Harris, “Letter to Martha Berry from Lavinia H.B. Harris.” Martha Berry Digital Archive. Eds. Schlitz, Stephanie A., Sherre Harrington, Chelsea Risley, et al. Mount Berry: Berry College, 2013. accessed April 25, 2019, https://mbda.berry.edu/items/show/12772.